When choosing fixtures and fittings, we all like to pick items that not only reflect our personalities but also perfectly match the property. Although toilets are a highly practical item, there is still a need for them to be comfortable for the user and to offer a pleasing aesthetic within the room they're fitted in. Manufacturers now offer these products in a variety of designs including traditional style. 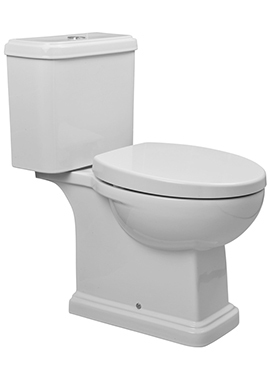 Whether its a large or small toilet, square or rounded style, you will find something to suit your design requirements at our online store. 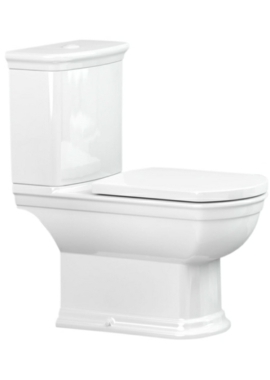 More and more people are attracted to the timeless charm of the traditional toilet with its slightly old-fashioned but dateless styling and substantial build which exudes quality. At Bathrooms 365, we offer a wide range of choices, and we are sure, you will find the right one, based on your requirement.